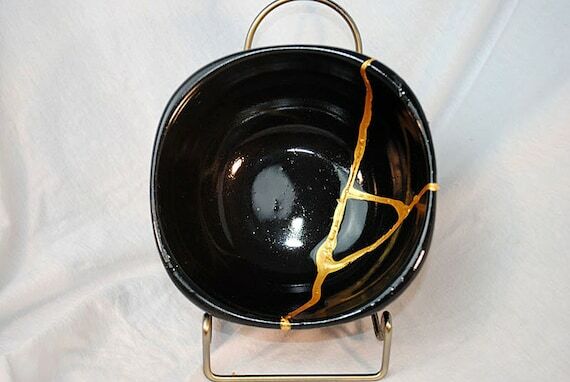 This Japanese technique for repairing broken pottery with seams of gold is called KINTSUGI which means ‘Golden Joinery’. It makes the piece stronger for being broken and it treats the break and the repair as important parts of the history . So, instead of discarding and throwing away the damaged bowl or dish or hiding the break, it’s emphasised and as a result, something very ordinary has been transformed into a piece which demands a second look – its unique and I think, quite beautiful. I found this a wonderful metaphor for the vulnerable and challenging children and young people we live and work with. Many have literally been broken by their experiences but as we take time and understanding to help them heal, they too can become ‘more beautiful by being broken’. So, on days when things are tough and the brokenness is very evident let’s take heart from Kintsugi and continue to be part of helping those we live and work with find their own healing and beauty. There are a few you tube clips explaining this technique in ore detail. Take a look – I hope you find it as helpful and moving as I did.